InterNations Founder & Co-CEO Malte Zeeck describes his recent visit to the InterNations Bucharest Community and the InterNations Official Event he attended there. After recently paying a visit to the InterNations Community in Budapest, I was very excited to make another trip, this time to Bucharest, and see the similarities and differences between the capital cities of two neighboring countries, especially within such a short time frame. Although I found Budapest more aesthetically pleasing in some ways, the cities do have a number of similarities. 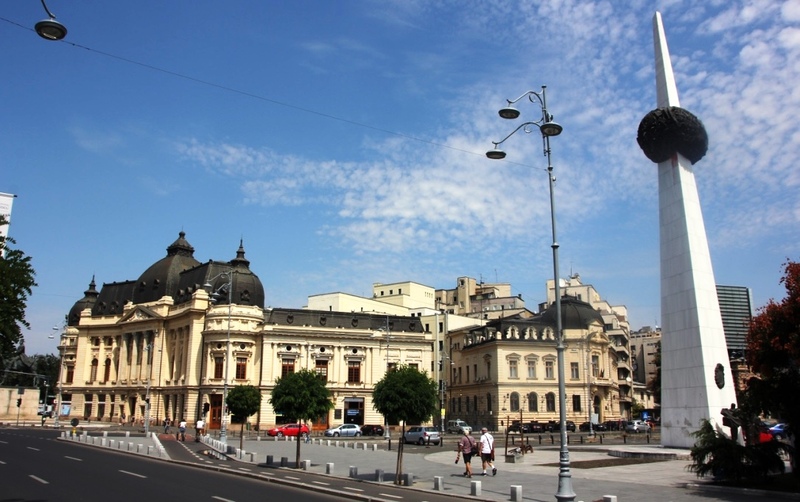 In Bucharest — much like in Budapest — there are numerous streets on which you’ll see an old, elegant building placed in between functional communist and brand-new modern architecture, which certainly makes for some interesting sightseeing. Although the cities are architecturally similar, Romania’s economy also seems to be lagging significantly behind Hungary’s. While Budapest reminded me of Vienna, in some ways, the general atmosphere of Bucharest was more reminiscent of Prague in the early 1990s — the visible legacy of the era behind the Iron Curtain combined with a very dynamic vibe. Our InterNations Ambassadors are amazing people, and so I was very enthusiastic about the chance to spend some time with the Bucharest Ambassadors and get to know them a bit better over dinner. 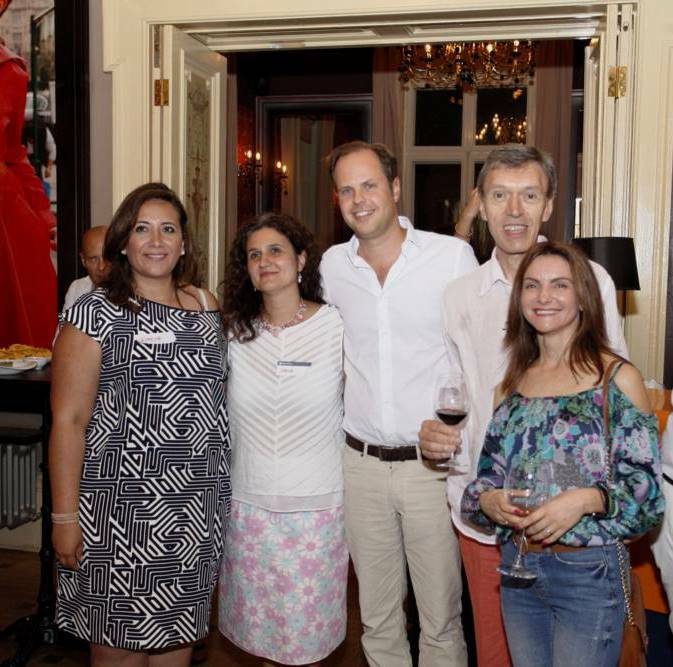 The event was hosted by Ioana and Stefano, but both Valentina and Ximena — the other two Ambassadors for the Bucharest Community — were attending as well, and also joined us for dinner. Ioana is actually from Romania and has traveled all over Europe, having studied in Austria and Germany for a while. She is a very active Ambassador, and her local knowledge is obviously greatly appreciated by the other members in Bucharest — especially the new arrivals. Ioana’s husband also came to the event and was such a great help taking some amazing photos of the evening. An expat from Modena, Italy, Stefano has plenty of experience as an InterNations Ambassador, having previously been one in Cairo. Ximena’s story is fascinating and her experience abroad is certainly extensive — the Colombian expat has lived in a total of nine different countries in Latin America, the Middle East, and Europe! The fourth member of the Ambassador Team, Valentina, is also originally from Bucharest: she spent over eight years of her life in different areas of France before living in Poland for just under a year. The diversity and global minds behind the Bucharest Ambassador Team certainly led to some fascinating discussions over our shared meal, and it was thoroughly enjoyable hearing about all of their experiences with expat life and the expat community. On top of this, being able to discuss the main concerns and achievements within an InterNations Community face to face with our Ambassadors is invaluable knowledge for me: it was very rewarding to be told of the great developments the Bucharest Community — which now has a total of 10,000 members — has undergone. 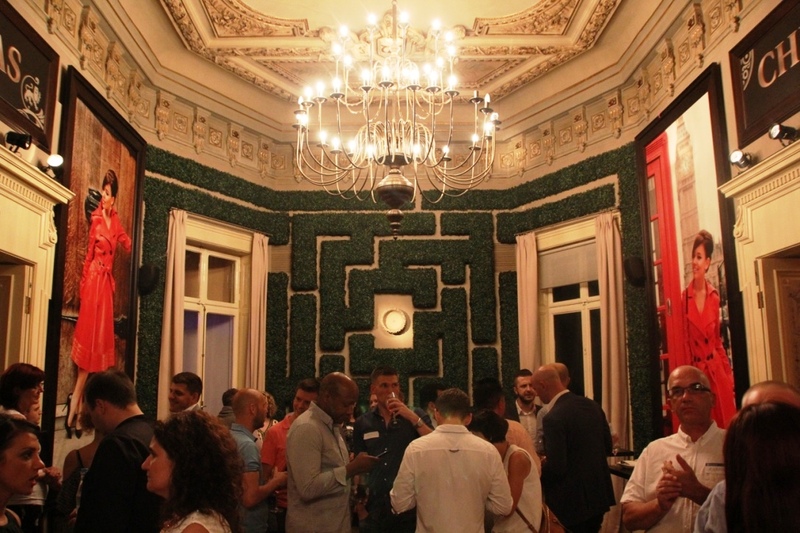 The event took place at Barrio, a stunning Italian villa with a wonderful garden, located right next to Amzei Square — a handy five-minute walk from my hotel. Arriving at the venue, I was really impressed — the architecture of the villa is stunning. The helpers at the door were very welcoming, and I soon got talking to them. They’ve been helping out at this event for years now and said that they have seen a number of Ambassadors come and go firsthand. It was very interesting to hear about the development of the Bucharest Community from their point of view as well. The local community in Bucharest does have a great reputation all round, and there even were Ambassadors and Consuls from all over the world — including New York, Canada, and Qatar — at the event. After speaking to a number of members throughout the evening, the international attendance at the event was of no surprise to me. Not only did the Ambassadors see to it that the organization was running smoothly, but the guests were incredibly friendly, too. Why End the Night There? 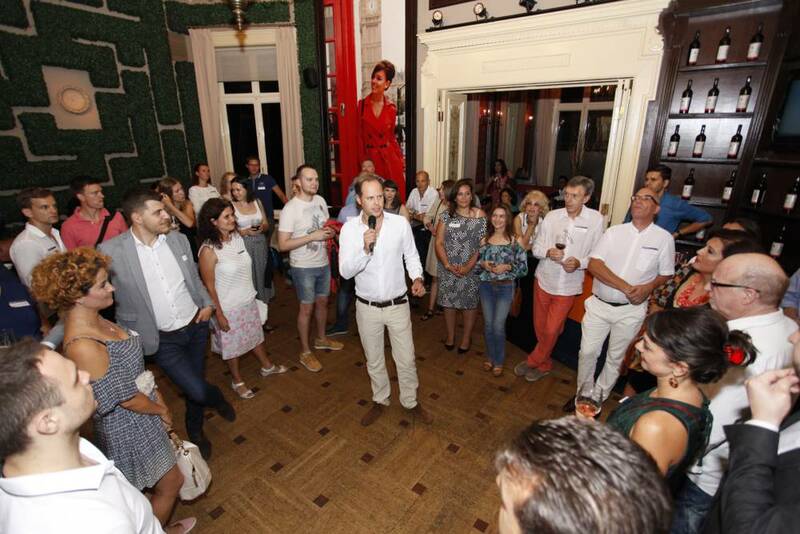 The evening was a great success, and the Bucharest Community certainly is both very welcoming and very active. There are now 16 groups for various hobbies and interests from sports to wine tasting, and a large number of members are actively involved. Of course, like in our other communities around the world, a special group of people deserves a personal thank you — our volunteers. We now have almost 5,000 volunteers across the globe, who have helped to make InterNations the leading global network that it is today. It is thanks to them that our members get the chance to meet up in real life, and I am always very happy about the opportunity to tell them so in person. All in all, I enjoyed the event so much that, when it ended, Valentina, around ten other members, and I decided to make the night last as long as possible, heading to the Centru Vechi (Bucharest’s Old Town) to party at Freddo Lounge & Bar until the morning.